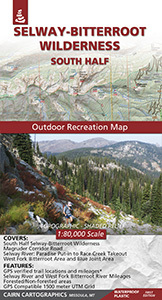 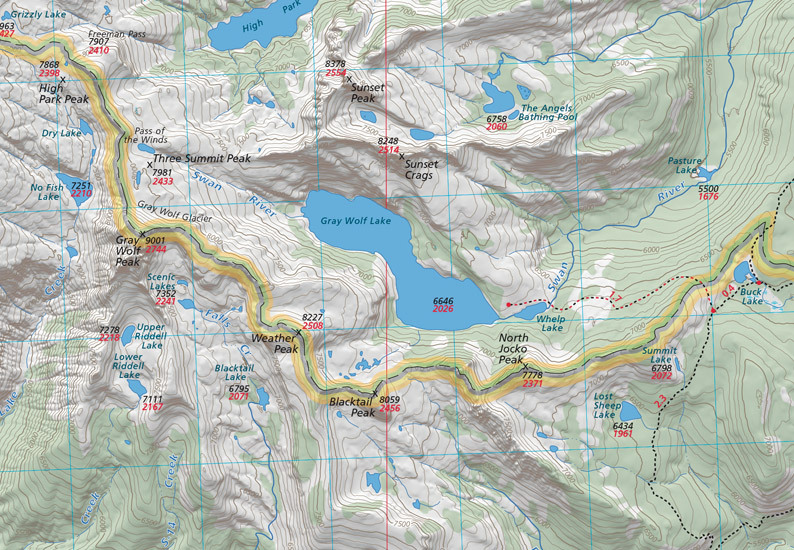 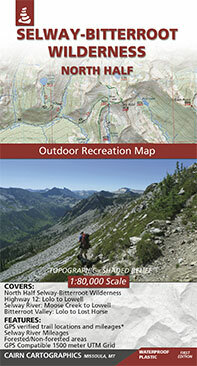 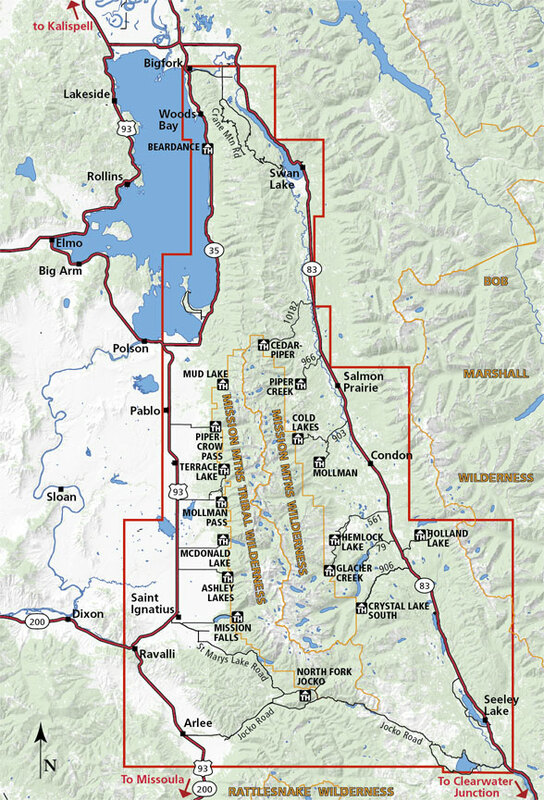 This map covers the Mission Mountain Range from the Jocko Road on the south to Bigfork on the north. 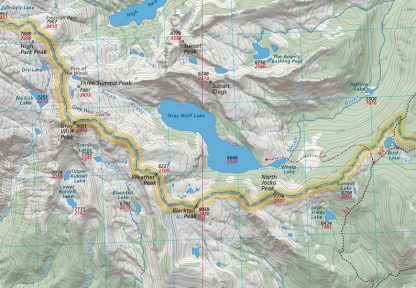 During the summer and fall of 2012, we GPS’ed virtually all of the trails on the map to make the trail locations and mileages as accurate as possible. 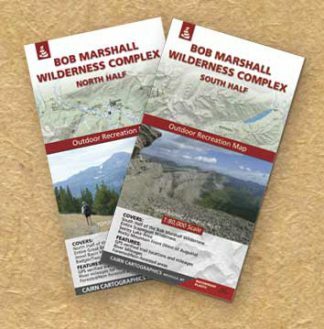 We hope you’ll find these additions useful on your next trip into the Missions. 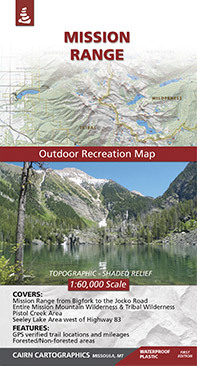 Second Edition, printed in Spring 2017.